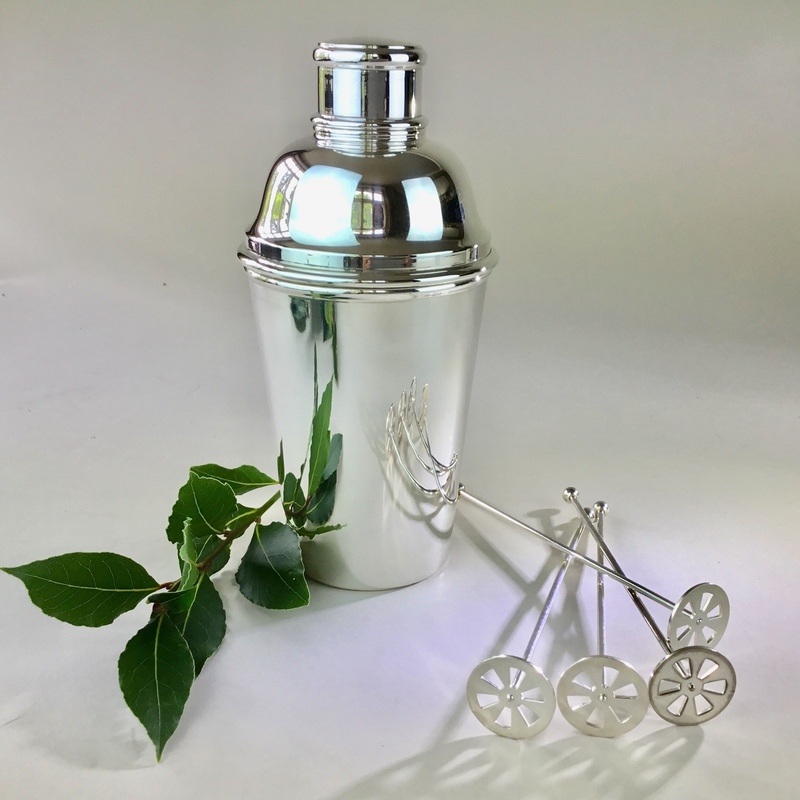 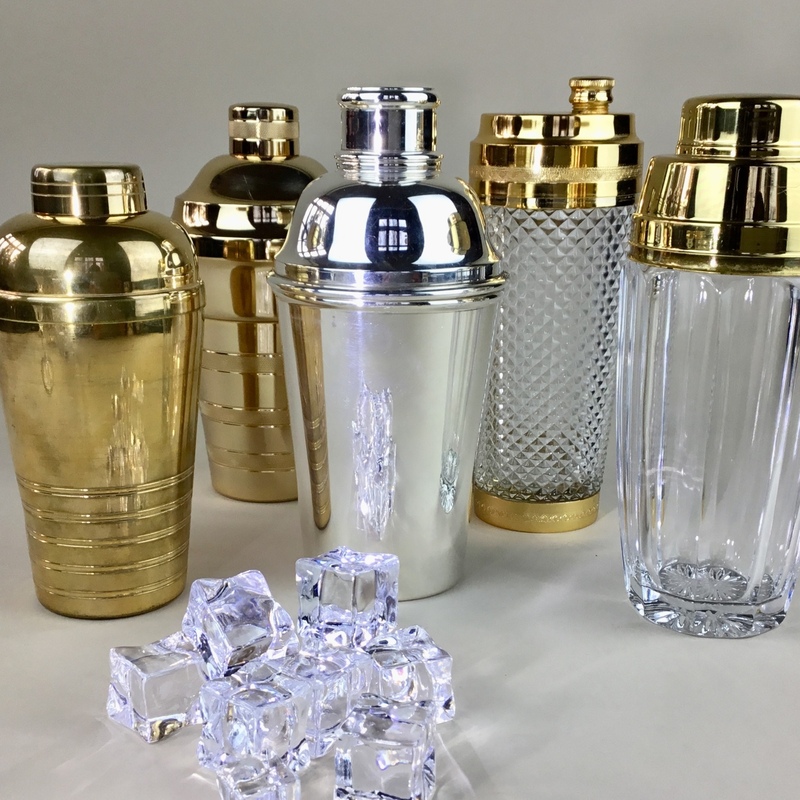 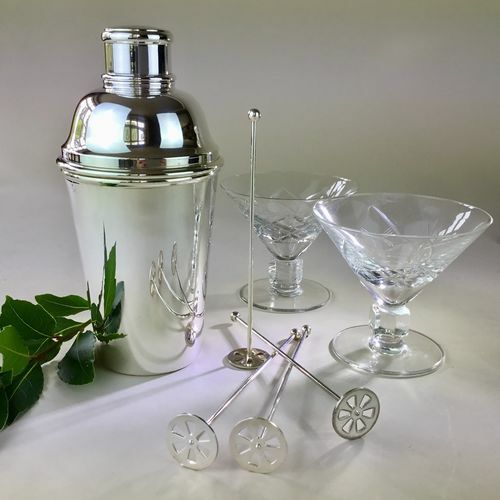 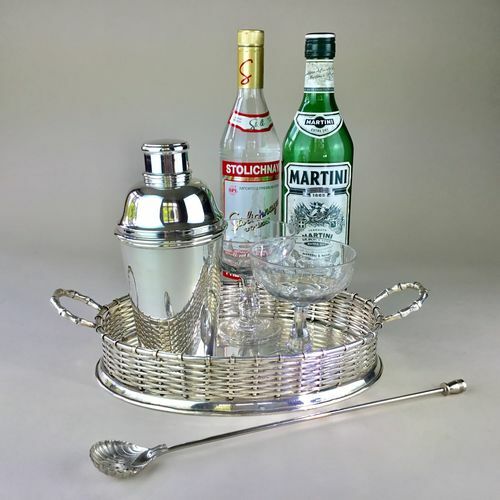 A good quality French silver plated cocktail shaker, Circa 1930s. This is a great working item which, if asked nicely, will throw out an excellent Martini. 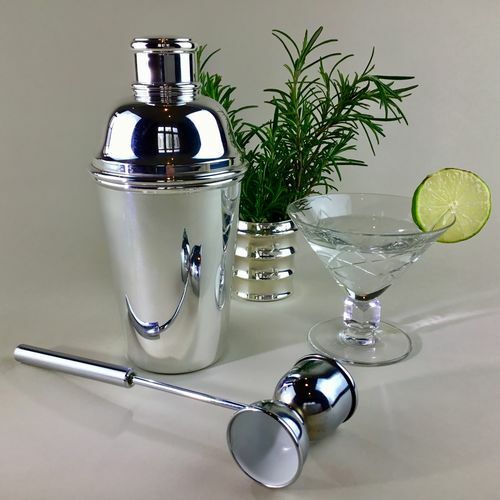 The middle cocktail shaker of the group shots.